WooHoo…Full House Folks! After winning a round of his favorite kids card games “Uno”, this is how my 10 year old nephew expressed his excitement. Uno is not just my nephew’s favorite card game but the favorite of my 50 year old uncle as well. Every one of us has played and loved one or the other card game during our lifetime. The best part is, one can carry that rectangular bundle of joy in one’s pocket anytime – anywhere, just gather some friends or regroup with the family and the fun unwinds! Kids card games, besides providing amusement, also develops strategic thinking, visual perception and observational skills within a child. That means tons of value packed in a small deck of cards. Game Objective: The War is On! In this kids card game the King with maximum warriors behind him Wins! Let all the 4 players choose a suit (spade, hearts, diamond or club). Take out the corresponding Kings from each of the suit and place them horizontally on a table face up. Shuffle the remaining cards properly and place the deck face down at the centre. Players will take turns flipping the card at the top of the deck one by one. If the card matches the player’s chosen suit then he will place it face up just below his King. If not, then the card will go into the discard pile. This will continue till all the cards are used. At the end the kid will longest tail of cards WINS this fun kids card game. A game best enjoyed by kids of same age group. Game Objective: Another simple yet fast paced kids card game in which the player who completes his perfect quartet (4 cards of same denomination) first wins. Dealer will deal 4 cards each to every player face down. Dealer will keep the remaining deck in front of him face down. He will pick up the card on the top of the deck and pass the discarded card to the next player (say on his right) face down. That player will pick up that card and again pass on the discarded card from his hand to the next one face down. The players must have only 4 cards in their hand at all times. This will continue till the last player of the group (the one on the left side of the dealer). He will have to keep the card discarded by him in the discard pile in front of him. The first player i.e. the dealer will now pick up a new card from the deck and the cycle will continue till one of the player completes his hand of Quartet (4 kings or 4 jacks or 4 10’s, etc.) and WINS the kids card game. A short and sweet game for the family! Game Objective: In this wonderful kids card game the player who captures all the cards from his opponents wins. Deal all the cards, face down, to all the players equally. Each player will open the top card of his deck and put it, face up, in front of him (discard card) one by one. This will continue till a player opens a card that has the same denomination (2,5,10, king, ace etc) as the top card of the discard card pile of another player. That player will Capture the entire discard card pile of the other player and club it with his playing deck. The other player will get eliminated. To make the game spicier try playing with 2 deck of cards. Game Objective: Another fun card game for kids in which the first player to finish all the 7 cards from his hand wins. No. of Players: 4 to 6 players. Shuffle the cards and deal 7 cards to each player. Keep the remaining deck at the center, face down. Pick up the first card from the top of the deck and keep it alongside the deck, face up, as an open card. 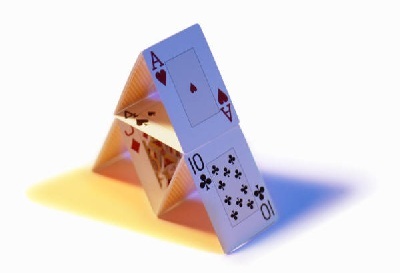 7, Ace & Jack cannot become an open card. In case that happens just shuffle the deck again and pick up a new open card. The turn starts with the dealer and will proceed clockwise. A player has to discard a card from his hand one at a time. He can only discard a card that has either the same suit or the same denomination as the open card. For e.g. if the open card is “5 of Hearts” then the player can discard either any card of Hearts or a number 5 card of any color (spades, diamonds or clubs). The card discarded by him becomes the open card for the next player who in turn will play his turn similarly thus building up the discard card’s pile. If the player does not has a suitable card in his hand that he can discard (conforming to the above rule), then, he has to pick up a card from the main deck. If a player discards a “7”, which according to the rule has to be of the same suit as the open card, then the player whose turn is next to him will have to pick up the top 2 cards from the main deck (he cannot discard a card for this turn). If that player also discards a “7 over 7” then the player next to him will have to pick up 4 cards from the top of the main deck. Similarly, if a player discards an “Ace” then the turn of the player next to him will get skipped. Additionally, if a player discards a “Jack” then he can declare a suit of his own choice and the play will then proceed with that suite. The players have to strategize their moves that ensures the speedy finish of all the 7 cards from their hands. When a player discards his second last card he has to yell “Last Card” that would alert the other players that he has only one card remaining with him. If he fails to do so and caught by other players then he has to pick up one card from the main deck as penalty. The player to finish his hand first…WINS this amazing kids card game. If more than 4 players are playing then try to play with 2 decks of cards combined. This will speed up the game and make it more interesting… Imagine lots of “7 over 7” and “Ace over Ace”! Game Objective: A fun filled kids card game in which player with Ace of Spades has to eliminate other players. Game Learning: Observation and lot of fun. No. of Players: A group of 5 to 10 kids. Make the kids sit around a table or in a circle. From the pack of cards take out as many number of cards randomly as the number of kids, out of which one card should compulsorily be an “Ace of Spades”. Shuffle the cards and deal them among the kids. The kid who gets the Ace of Spades will become “It” but hides his identity from others. The kids will look into each other’s eye randomly trying to identify the “It” whereas “It” will try to secretly eliminate the players one by one by Winking at them. If a player is Winked at by “It” he will yell “Ace of Spades” and put his head down (eliminated). If a player identifies the “It” the he will point towards him and yell “Pack” and becomes the winner. This fun kids card game can be played at a birthday party, Christmas party, Halloween party etc. Game Objective: A kids card game that would make then buffing with a pocker face. Shuffle and deal all the cards among the players. The objective is to get rid of all the cards in hand. The game starts with a player discarding a set of cards face down and declaring either its suit (diamond, spades etc.) or denomination (5 or Ace or King or 3 etc.) For e.g. “3 Kings” or “5 Spades”. The move is the discretion of the player. He may or may not be bluffing! The next player has a choice, either he can call “Bluff Master” and open the former player’s cards to check or play his own cards. If his call to check the cards turns out to be correct (i.e. he caught the former player’s bluff) then the former player has to take up the entire pile of the discard cards, but if the call turns out to be wrong the he has to take up the whole pile. The game will continue till one of players finishes his hand of cards and WINS the kids card game. Kids have to keep a rough mental track of the game. Since a deck of cards contains 13 cards of each of the 4 suits (spades, clubs etc.) and 4 cards of each value/denomination (2’s, 5’s, 10’s Aces’, Queens’ etc. ), hence a player cannot go beyond this, if he does…he is a Bluff Master! Now, Let’ review some recommended kids cards games available in the marketplace. Kindly go through them and use your own discretion to choose the one’s that suits your bill. Flinch – Published by: Winning moves and Hasbro. A century old classic kids card game praised and loved by generations. An Fun and tricky card game for kids in which players attempt to get rid of their stockpiles of 10 cards by playing them in numerical sequence of 1-15. The game contains 144 premium quality cards, card tray and rules. A fast-paced game that will teach kids to estimate opponent’s move and make strategy accordingly. An interesting game that the whole family can enjoy. The game’s manufacturing quality is very good. Game is for kids who like patient playing, not for the restless ones. If more than 4 players want to play the game then the number of cards are not sufficient. In that case one may buy 2 packs of the game. Don’t forget to pack this game in your kid’s backpack when the next time you go on traveling! Game Objective: To win the most cards by matching the correct answer cards. Game Learning: Geography, visual differentiation and vocabulary.. The Scrambled State of America – Published by: Gamewright. The Scrambled States of America kids card game is based on the book "The Scrambled States of America" by Laurie Keller. Dr.Toy’s 10 best totally responsible products. Dr.Toy’s top 100 children products. Oppenheim toy portfolio gold award. The game is about 50 state of U.S. divided in to 50 cards. Players have to match the correct cards. The game contains 50 State Cards, 50 Scramble Cards, 4 illustrated maps of the USA and game instructions. A great card game for kids to make them gain knowledge about U.S. geography, state capitals and their nicknames, shape and location of each state. A game that you will also find interesting, after all no one remembers all about a subject. So what is the harm in rekindling your memory, especially when it’s about your own country. The only down side of this kids card game is that kids less than 9 years will find it difficult to play as they do not have complete knowledge of the subject. This kids card game is primarily made for U.S. kids. Parents and kids from other country may not find relevance in this game. Play this game regularly with your kid and you will be amazed to realize how much he has learnt about his country very soon. It is highly recommended to buy the book on which the game is based (having the same title) “The Scrambled States Of America” to complement the knowledge and learning of this game. Click here to watch the video preview of Scrambled States of America. Game Objective: The objective of this wonderful kids cards game is to build a story based on the graphics on the cards. Game Learning: Imagination, creativity and structured thinking. No. of Players: 2 to players. Once Upon A Time – Published by: Atlas Games. Once Upon A Time (2nd edition) – Published by: Atlas Games. Another award winning kids cards game. A story building and storytelling game. One player begins the game as the Storyteller, and creates a story based on the picture on his card. Other players can use their cards to interrupt in between to become the new Storyteller. The winner is the first player to play out all his/her cards and end with the Happy Ever After card. The game comes with 1 small 16-page rule booklet, Happy Ever After cards & 112 Once Upon A Time cards. The game would make the kids to use their imagination and creativity to build a story and give it a unique direction of their own. A very good game for kids who likes role playing and have a creative bend. The cards are of very good quality. A great classroom game where children can learn about the elements of a story including events, characters, endings, etc. The game is not for the hyper active and non creative ones. This kids card game is an innovative means of developing and encouraging a child with artistic and creative bend. Must be used in classrooms teaching theater and other creative arts. Game Objective: The objective of this wonderful kids cards game is to arrange their cards sequentially and finish all the cards in their stockpile at the earliest. Skip Bo – Published by: Mattel Inc.
A classic, strategic card game from the makers of UNO, a favorite with kids and adults for years. A game to be enjoyed by kids and parents alike. The game comes with a deck of 162 cards. The game is a good balance between luck and strategy. A very good travel kids card game. The game’s rules are slightly tricky to understand but once it is clear it is pure fun! Game Objective: The objective of this educational kids cards game is to obtain the highest number of points by combining the cards in your hand into words. The words must use two or more cards. No. of Players: 2 to 8 players. Quiddler – Published by: Everest toys. This card game for kids is a Parent’s Choice Award winner. A fast paced, easy to learn, educational and family fun kids card game. The game has to be played for 8 rounds; players have to form meaningful words by drawing and discarding the cards in hand. 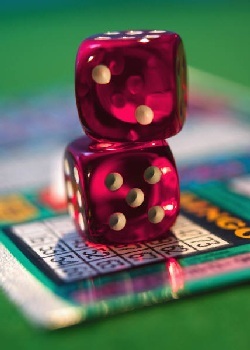 The player who accumulates maximum points in 8 rounds wins the game. The kids card game consists deck of 118 card. It contains cards from A to Z with special double-letter cards -- QU, IN, ER, TH and CL with each card carrying a point value. A very educational card game for kids. 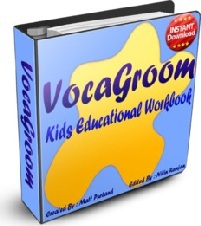 Helps strengthen their vocabulary and spellings. As the game is played in 8 rounds, hence, each progressive round changes the dynamics of the game and creates new challenges (first round starts with 3 cards and number of cards increase by one with each successive round i.e. the 8th round has 10 cards). This is one game where a kid and an adult are at a level playing field. Hence, a great family entertainer. The cards are of best quality and very beautifully designed and printed. Like any other card game this game is also dependent on the combination of cards one gets. If one gets a very flat combination of cards then it is not easy to make points. The last rounds of the game may get stretched when playing with a large group of 7-8 players. Play the game with a pocket dictionary besides you. This will help is making words faster. The game includes a Solitaire version also, that is cool if a kid wants to play all by himself. Play the game for six rounds instead of 8 when more that 6 players are playing. The game will be more fun and less stretched. Game Objective: The objective of this learning kids card game for kids is to identify "sets" of three cards of different patterns. Game Learning: Fast thinking, pattern matching and visual perception. Set – Published by: Set Enterprises. This kids card game is a NAPPA Children’s Products Honors Winner. The kids card game comes with a deck of 81 cards in which each card having one of three symbols (squiggles, diamonds, ovals) in varying numbers (up to three), colors (purple, green, red), and degrees of shading printed on it. All the players play simultaneously to make and identify “Set” i.e. a combination of three cards on which each feature is either the same or different. A great learning card game for kids. Helps them sharpen their visual differentiation and memory skills. A great brain exercise game for kids as well as parents. The cards are of satisfactory quality. The cards deck does not come with a plastic case to store it. It may take some time to familiarize and tune with the “Set” making rules of the game, especially for smaller kids. But once done, the game becomes very interesting and addictive. Advice the kids to practice the game in solitude for some time and then step to play with a group. Similarly, find out some of the best Puzzle Games, Chess Games and Board Games for kids available in the marketplace.